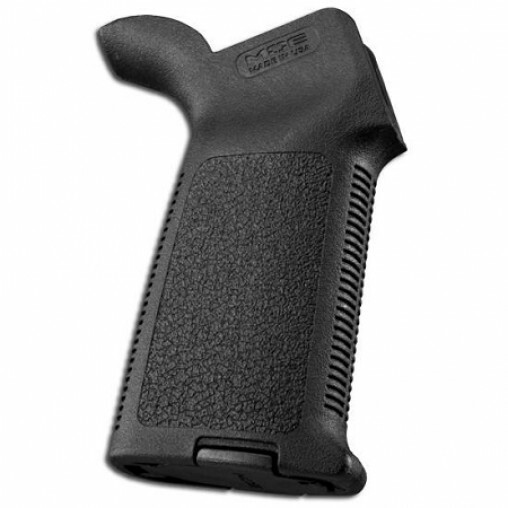 The MOE Grip (Magpul Original Equipment) is a drop-in upgrade for the standard AR15/M4 pistol grip. The ergonomic, hand filling design combines aggressive texturing with storage core capability. With a similar shape to a 'medium' sized MIAD, the one-piece reinforced polymer construction provides simplicity and a reduced cost while still maintaining the durability needed to withstand operational environments. The MOE Grip accepts optional Storage Cores for gear stowage and includes a basic grip cap. Nice grip, good price and fast shipping. What else do you need? Great grip for the price, excellent service from Toms Tactical, nice and tight fit on my lower. Recommended! Always like these grips with the storage area underneath. Great piece of equipment. Nice tactile feel and non tacky.